When you have twins, one of the major things you wonder about is will I ever leave the house again? It’s challenging to leave the house with one baby, let alone two. 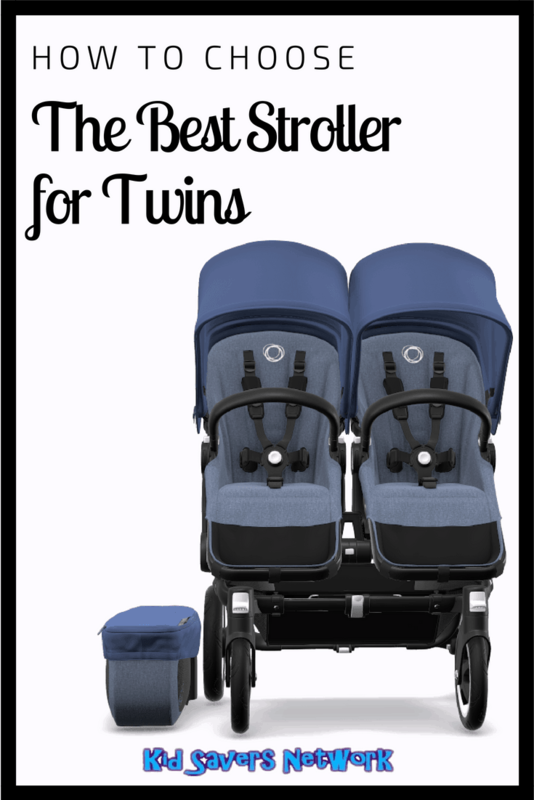 So finding the best stroller for twins will really make things easier! 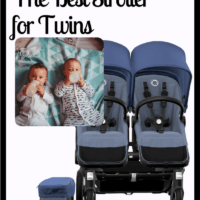 In my quest to figure out the best double stroller to purchase I made a few discoveries along my way that may help you, too. Learn from my mistakes, and hopefully you’ll get the right stroller for your growing family! Save Money – Buy Used! Is your family hiking every weekend? Do you need a jogging stroller so you can exercise with your children? Is your vehicle on the small side and can only accommodate a smaller model? Will you be traveling often and need one that can easily fold up? How strong is the sun in your location and is a good canopy a necessity? Identify your top five needs and uses, and write them down. 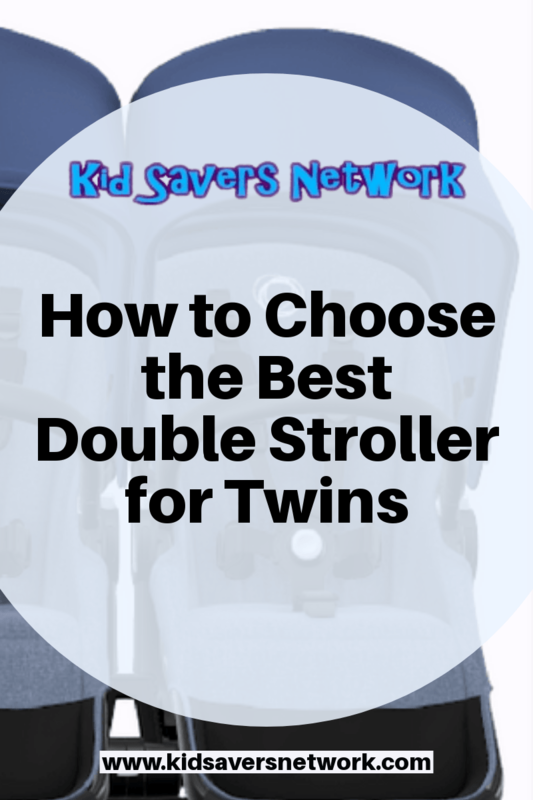 This will make finding the best stroller for you and your twins much easier. 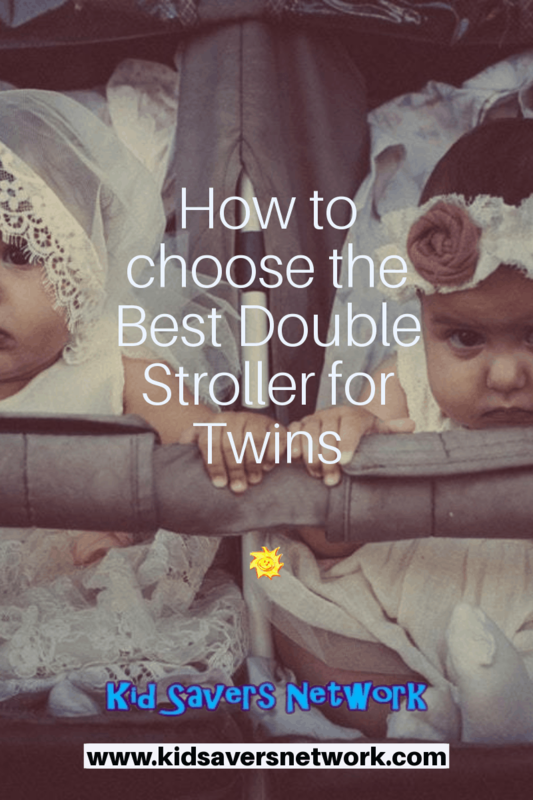 The fact that you will need a double stroller narrows the options down rather quickly. 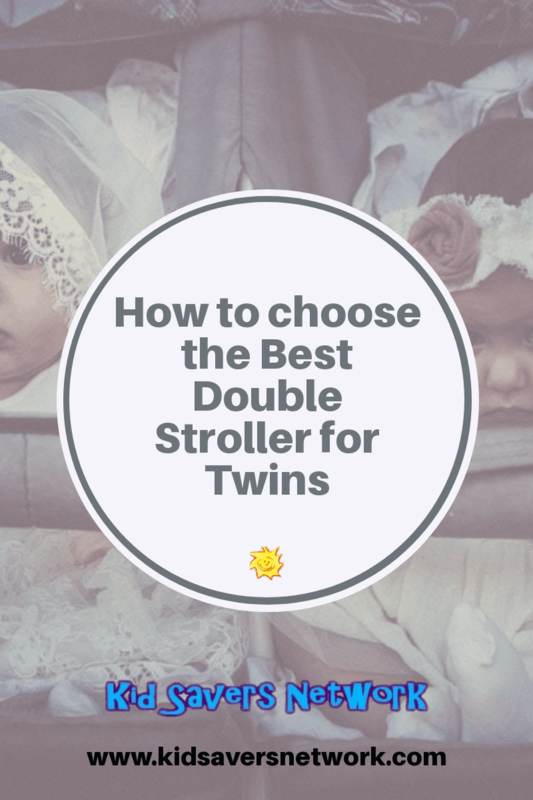 There aren’t as many makes and models of double strollers compared to that for singles. eled stroller with a fixed front wheel. Many have a hand brake and parking break. They are generally used by parents that want to run with their babies. These strollers usually weigh more than other double strollers. They are tend to be more expensive too! both babies sit right next to each other, side by side. These strollers generally have a canopy overhead and are wider than the tandem double stroller. 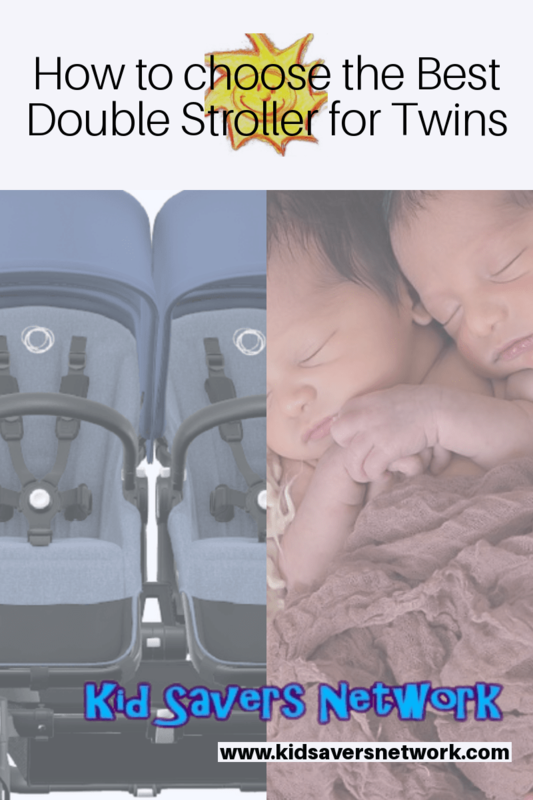 The advantage to the double side by side is that both twins can see straight ahead without a blocked view. The tandem stroller: This is where the children one in front of the other. These strollers generally can accommodate your infant car seats. They are usually easier to fold up and require less trunk space. An advantage to tandem strollers is the are generally narrower. This makes them easier to navigate around corners and through crowds than the side by side kind. Size: Some double strollers require a huge trunk just to transport. Storage: Does it have baskets, cup holders, and places to put your baby gear? Folds Easily: Does it require both of your hands to collapse and fold up? Adaptability: Can your infant car seats be attached? Will it accommodate newborn twins as well as toddlers? Canopy: Does the canopy provide ample shade, block the sun, and give some privacy for when the twins are napping? Handle bar height: Is there a big difference between you and your spouse’s height? Is it too low for you? This was an issue for my husband and I. He’s taller than me by almost a foot! As a result, it was uncomfortable for him to push our stroller because the handle bar had a small margin for height adjustment. Research, research, research. Get online and talk to friends. Join a twin’s social media group (like this one or this one) . Visit your local baby store and test drive a few models. Right now, your main job is to see what types of strollers are out there, learn their features, and begin narrowing your search based on the criteria you established at the start. Once you have figured out what stroller best meets your family’s needs and done some research on the available brands and options, consider buying your stroller second hand. Look online at craigslist, consignment sales, and ask around on twin’s social media groups on Facebook. Talk to people and get the word out on what you are looking for. You could acquire your stroller for half the price if you are able buy one used. No fun at the back! However, once reality set in I quickly realized that I wasn’t going out much with newborn twins. Once the twins got older and we began taking trips to the zoo and park, I noticed it was more difficult for the twin who sat in the rear seat to see. The twin in the front would sit pointing away at the monkey, while the twin in the rear would be whining and frustrated that he couldn’t see what was going on. In hindsight, I wish I had purchased a side by side stroller and totally forgone purchasing a model that could accommodate infant car seats. That was such a short lived season of our lives and one that we hardly ever used the stroller for. After I sold our tandem stroller I made another mistake and purchased a double jogger. All my friends with singletons were using the jogging strollers and raving about their ability to provide such a large amount of shade and accommodate their growing children up until age four. So I purchased a secondhand double Bob jogging stroller (pictured). It weighed 34 pounds without two toddlers in it. Sure, it had large, reclining seats, and huge canopies for shade, but I learned quickly it was really cumbersome for me to use by myself. It also took up a huge amount of space in the trunk of our mini-van, and left little space for other luggage. Once the twins grew a little older they also seldom wanted to be confined to a stroller anymore. So the double jogger became obsolete and just took up space in our garage. That became the end of our stroller days. I sold the “Bob Jogger” without feeling guilty because we had bought it secondhand, and became pregnant with our third child (a singleton). The only stroller I ever purchased for her was a ten-dollar umbrella stroller at a consignment sale. Learn from my mistakes and do your homework. 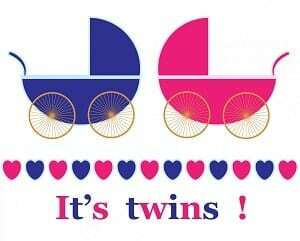 I’m sure you’ll be more successful in finding the best double stroller for you and your twins. And if you do make a mistake or two along the way, as long as you buy secondhand you won’t regret the lesson learned!